Dee Pee Inks Willett (Alternate) General Purpose Ink And Top Ups. Our organization is one of the primary manufacturers and exporters of Dee Pee Inks willet™ (alternate) general purpose ink & top ups. These consumables are recognized for features such as high quality, excellent printing, fast drying and fully compatible. We provide Willett Printing Inks to our clients. We are offering CIJ Printing Ink. We are enlisted amongst the leading names in the industry offering our clients wide range of Willett Printer Ink. We are offering Willett Ink and Top Ups to our client. Owing to the vast acquaintance, our firm is competent to present Willett White CIJ Printer Ink. Our customers can avail this product as per their requirements. Enriched with immense industrial knowledge, we are engaged in offering a technically updated variety of Willett Printer Ink that is highly demanded by the clients. We are very much involved in the Willett Consumable Ink. we provide the same at a reason able price with the great quality of product. We bring forth a high quality assortment of Willett Compatible Inks. Inks and Top-ups are supplied in sealed bottles. 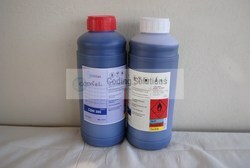 these products can be supplied in 1Lt, 25Lt, 200Lt containers. 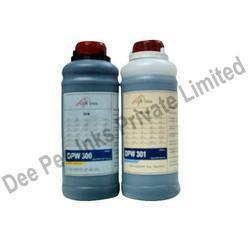 Inks, Top-ups and Wash Solutions are fully compatible. Dealer Price available.